I have previous written about my distaste for the older docudramas like Nanook of the North and Louisiana Story as well as my slight confusion with Haxan. So in strolls The Great White Silence, a relatively unknown documentary from 1924 and I am basically expecting the worst or something borderline exploitative. Needless to say I was wrong. Much like Blackstar there is something eerie about watching The Great White Silence. Why? Well, it’s a documentary depicting the expedition of Captain Scott and his men to the South Pole. Therefore you are watching the last documented moments before they went off to meet their maker. Chilling stuff really. This means the spectre of their deaths pretty much hangs over the entire film, which weirdly gives a different perspective on the massive icebergs and the beautiful shots of Antarctic plains that are depicted. It doesn’t, however, cast a shadow over the really sweet penguin sequence where they anthropomorphise these penguins as having an argument about whether prawns make good parents. 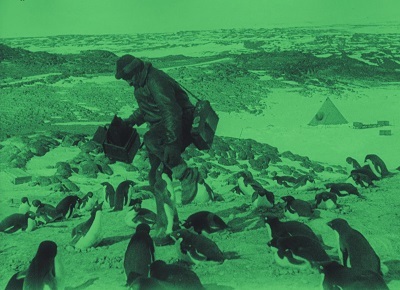 It’s worth noting as well that this film would be some of the first recorded footage of Antarctica and the creatures that inhabit it… which begs the question of why this film was such a financial flop. In fact, the original 1001 list did not include The Great White Silence as it was only brought back into the public eye some 7 years ago. Things like this really make you wonder what other films from this early era are left to be unearthed only to have their artistic merits fully appreciated after the directors are long gone. Would be cool if more Theda Bara films showed up because hope springs eternal.